Well I finally have a new doll to post...I know, it's been awhile! But hopefully it is worth the wait. 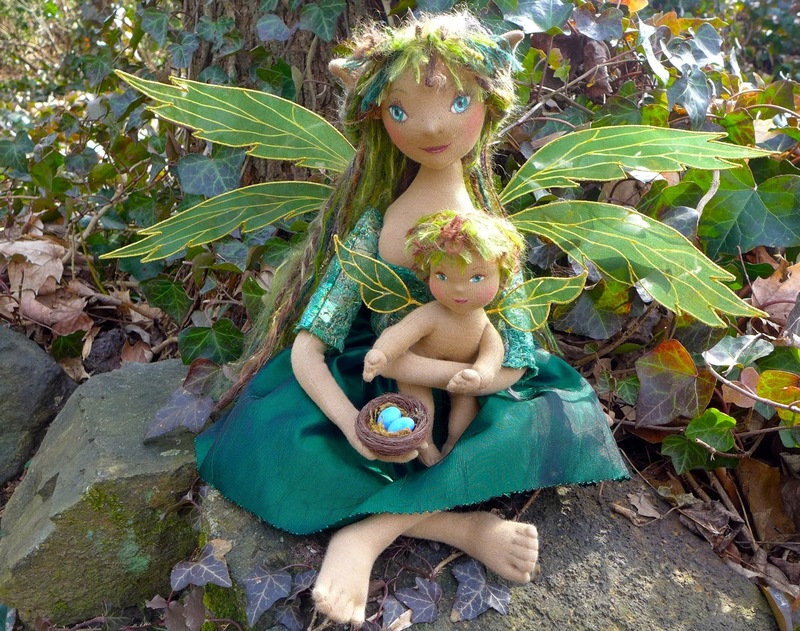 I give you "Spring in the Deep Wood", a mother fairy showing her sweet baby a miracle of Spring. These dolls were inspired by a couple of things. One is of course, the long cold winter that we've been experiencing this year...I don't know about you but I have never been more ready for Spring! But the other inspiration is that we are expecting our first grandchild to be born this March and, as you might imagine, this is a very very exciting event. ( I've been knitting pretty much steadily since I found out. :) So in honor of all the miracles that Spring will bring I give you my own version. Enjoy! She could not be more beautiful. And the baby's face melts my heart. Thank you for sharing these lovely new dolls in this space. Congratulations are in order - how exciting your first grand child. If your grand child is a little girl, she will have the most fabulous dolls on the planet! 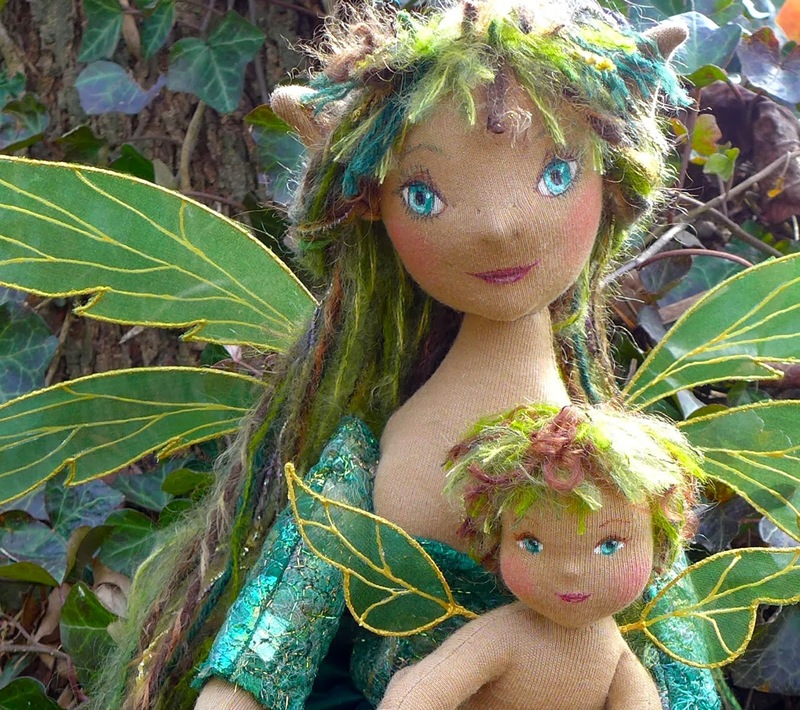 I treasure my own Fairy's Nest doll - never tire of her sweet face, pretty ringlets peaking out from under her little scarf, her pretty fall patterned dress. She brings joy to each day. Oh Pam, thank you so so much for your lovely words...you've made my day!